When You Want The Best On Location. Your Location. 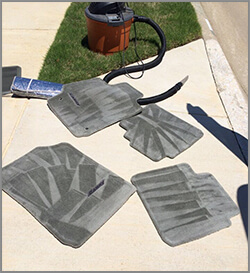 We show up at your doorstep to tend to your vehicle, auto, or boat’s exterior washing and waxing needs and offer high quality carpet shampoo and stain removal. 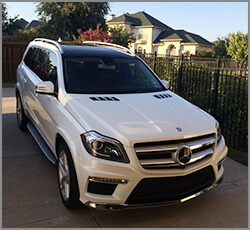 Autobahn Mobile Detailing & Carpet Cleaning proudly uses a premium grade product named Zaino to detail your car, boat, or mobile home. Unlike your local car wash, Autobahn incorporates Microfiber towels where most car washes use cotton towels that put surface scratches or swirl marks on your paint finish. This minimizes unsightly scratches and swirl marks on the surface of the paint. We also use a polish that removes existing scratches or scuff marks using clay bar and Zaino in conjunction. 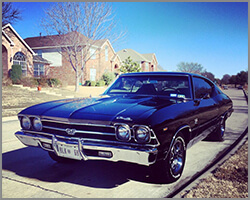 The Zaino Clay Bar is another product that is applied prior to polishing in order to remove rough spots, road tar, bird droppings, tree sap and also helps the wax/polish bond better making it last longer. Your vehicle is hand washed using microfiber mitts and then we apply the wax by hand or orbital buffer at clients request. 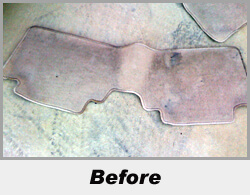 We also degreased your door panels, dash, cup holders and then add a light shine. No local car washes or mobile detailers are doing this the right way. 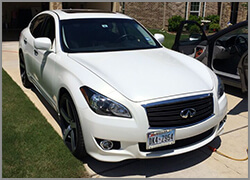 We have a background in cleaning and detailing so we take our time and care since we don’t have to worry about the large volume that full size car washes have. They don’t care about your vehicles, boats, mobile homes like we do. We treat people like family. What sets us apart from other detailers is the time we take to double check every step, and our assurance to achieve superb customer service and quality. 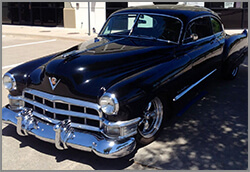 We treat our client vehicles with tender care like we would our own. 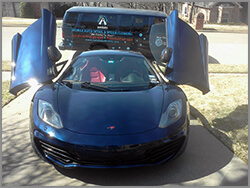 Expect to be treated like a VIP on any service or package. Two detailers will be on site to help speed up the process efficiently. Why wait long lines at a car wash when we can come your business or residence and stay inside working or relaxing while we bring our own water, electricity, steam cleaner to you! Save a lot of time and receive better quality work today. 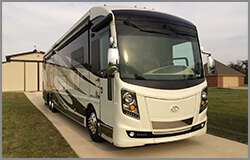 Each detail package is tailored towards your vehicle, boat, or mobile home needs. Be sure to let us know exactly where you would like the focus to be placed. Trained staff will have a checklist to verify that every request has been met. You can see before after images on our Instagram or Facebook. There you will see images of happy customers and corporate clients detailed by our professional team of technicians. After 4 golds you get a free gold package, you can also receive a hole-punch by referring another customer. We also do work for large companies and a lot of residential and just added home carpet care and home or business janitorial services. Please ask us about more information. Please call, email, or book online at the top of the website. 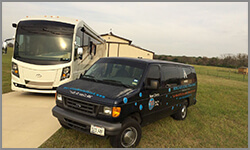 We offer same day service based on availability. We recommend placing a appointment at 24-48 hours in advance for best time slots. We will call you 30 minutes to an hour prior to arriving for the day of the appointment set. We also confirm online bookings by email or phone call. Ask about our weekly and bi weekly packages which are less in price and you get free member services like clay bar, or engine detail for free just cause your on a weekly bi weekly schedule. With the Silver Sparkle package, they'll hand wash four-wheeled friends before massaging them with wax designed to expunge scratches and surface imperfections spawned from long commutes and embarrassing banana-peel tumbles. After vacuuming and dusting the interior, We will clean windows, Scrub clean & condition leather surfaces, and eliminate odors to ensure your car smells as pleasant as a newborn sedan after a lilac bath. 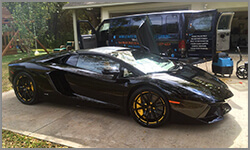 The Gold Signature package adds to the above list with a range of services, including a slathering of paint-preserving Z-5 Pro polish and a misting of Zaino Grand Finale detailing spray. They'll also pre-treat carpets with biodegradable Prochem products before steam cleaning them to remove any stains like coffee, soda, or water marks from all cloth and carpets. 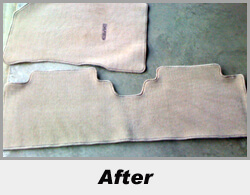 We degrease all interior door panels, dash, and cupholders for every detail package to remove dirt.. 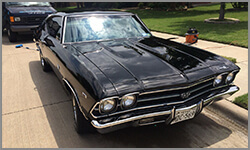 Platinum Package Includes everything from the above packages but includes Claybar for the whole surface of the paint to eliminate any scuffs, tree sap, over spray and also include engine degreasing and shine on black plastics. Under the hood will also be cleaned. The Pink Crystal package, meanwhile, is a Mother Nature approved "gone green" Like the platinum package designed to comprehensively spruce up cars top-to-bottom without using a drop of water or molten lava. 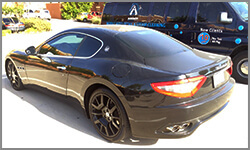 The state-of-the-art waterless wash system and intensive waxing procedure summons the gleam from exterior surfaces and tire treads, and steam care freshens up interiors. Additionally, your $10 of the proceeds from the Pink Crystal package aid in women’s breast cancer research. All clients will receive a complimentary hole-punch card. 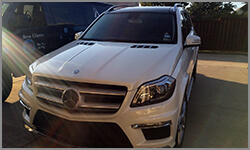 4 visits from Autobahn Mobile Detailing and you will receive one Free Gold Package for any vehicle!